J. 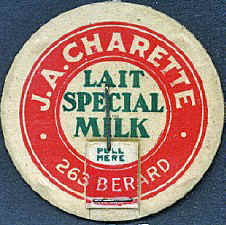 A. Charette, milkman from 1935 to 1946 in the Montreal Lovell's. Addresses shown are 261 and 263 Bérard.